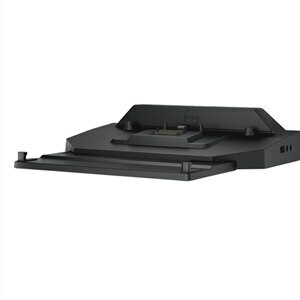 The Rugged Desk Dock from Dell™ is the industry’s first portfolio-wide desk dock that supports the entire family of Latitude Rugged and Rugged Extreme notebooks. It has better video connectivity with dual Display Port outputs and also includes simple toolless adjustment and improved guiding features. Moreover, it ensure your notebook is secure with dual cable lock slots. With all these features and more it is compatible with Latitude 14/12 Rugged Extreme and Latitude 14 Rugged notebooks (first and second generation).